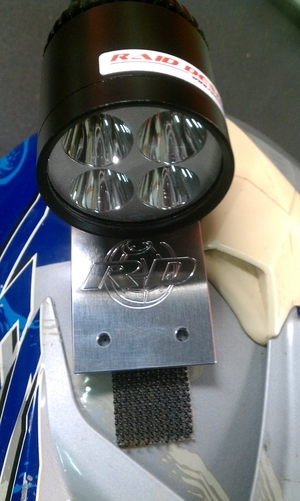 Helmet bracket for the LED1. 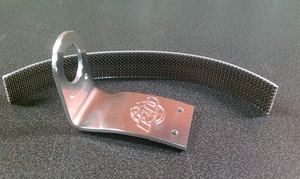 This solid 3 mm 6082-T6 alu helmet bracket replaces the stock stainless bracket. 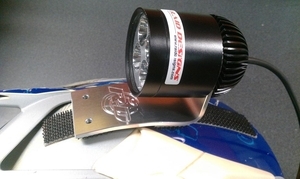 It's curved to fit and attaches to the helmet with industrial velcro. This way it's fully adjustable on the track without tools and should you hit a solid branch, this will let go instead of your neck! 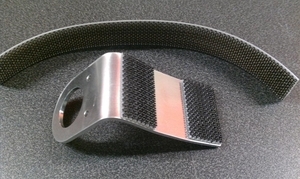 Velcro for the helmet is included as is a stylish CNC-logo for looking good in the paddock.